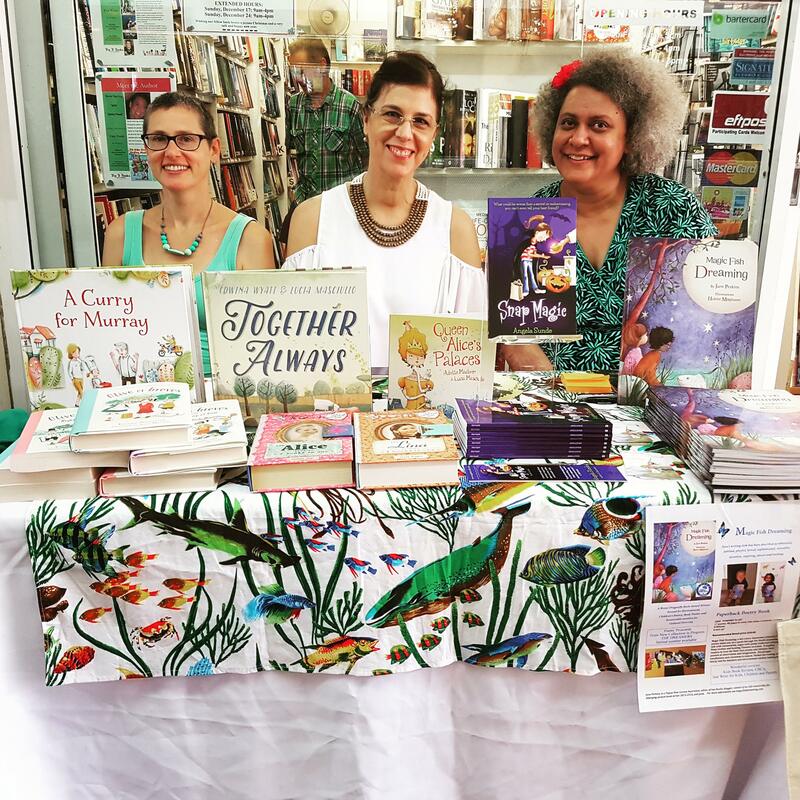 At Big B Books, owned by the wonderful Candice Lemon-Scott, I loved catching up with Angela Sunde and Lucia Masciullo and we shared a table. Angela is an absolute dynamo and was promoting all three of us so beautifully. 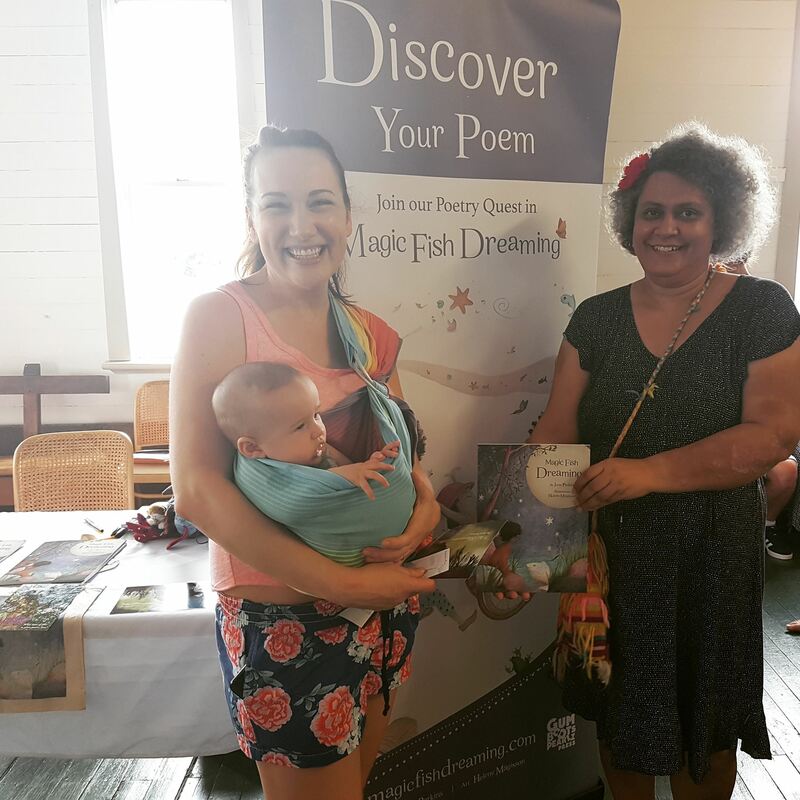 At Mt Alford Artisan’s Market, which is supported by the Mount Alford School of Arts, I absolutely loved meeting this vibrant mother and her little one, Jude, who gave me the biggest smile. So lovely to know he will be growing up with Magic Fish Dreaming. It was so exciting to hear of people sending this book overseas to relatives and friends, as well as taking it into areas I am not sure have read it yet. Germany, England, Toowoomba readers as well as Mt Alford, Boonah and Logan. 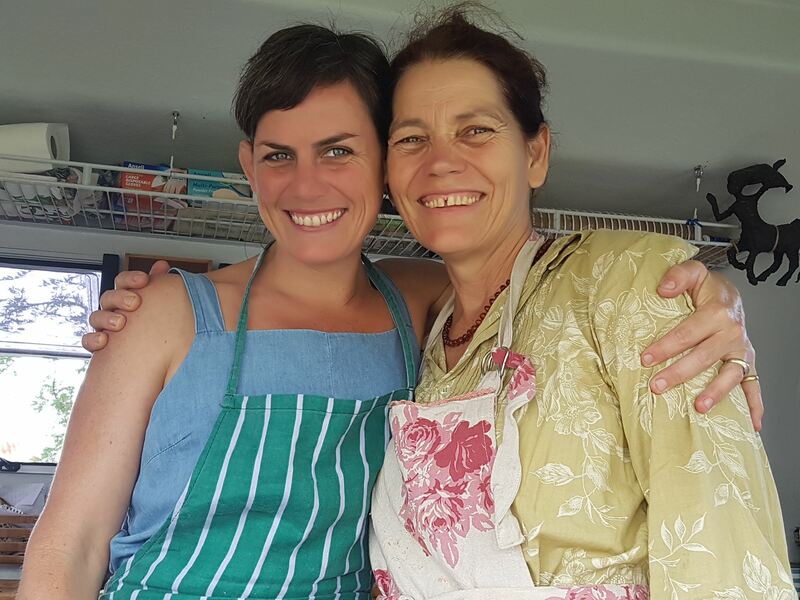 I had a chance at the Market, to catch up with Jessica from The Shed, a friend made at the Boonah environment day, as well as Yonda, who is one of the people who organises the market and who has a food van that makes the most delicious healthy burgers. 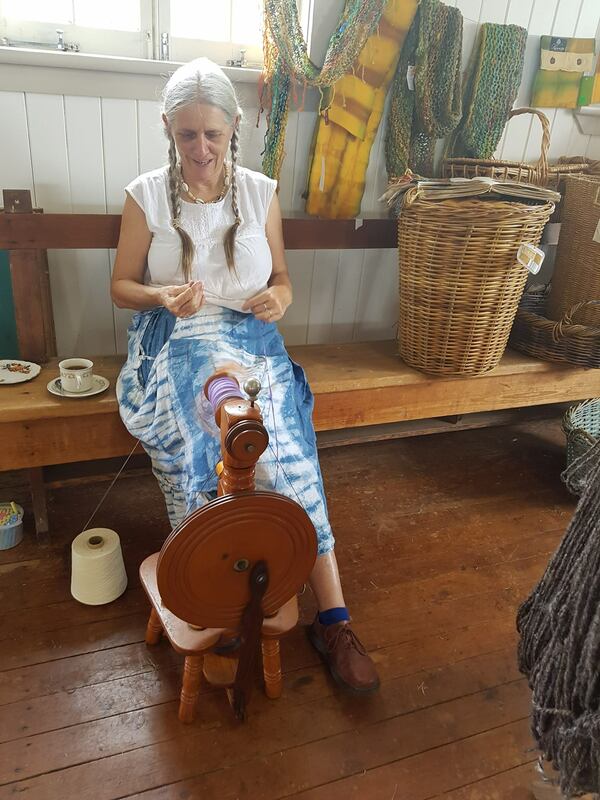 There were many artisans, some beautiful singing, and you could watch a spinner at work. 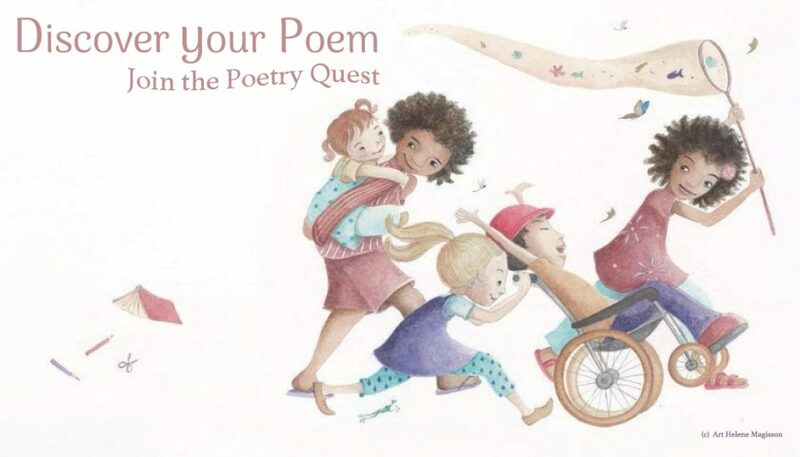 I met many local writers, some poets, romance writers and novelists, who came up and introduced themselves and their genres, and were very supportive of the book. There were so many interesting stalls. One dedicated to Mermaids, but with very sweet sea horses particularly caught my eye! 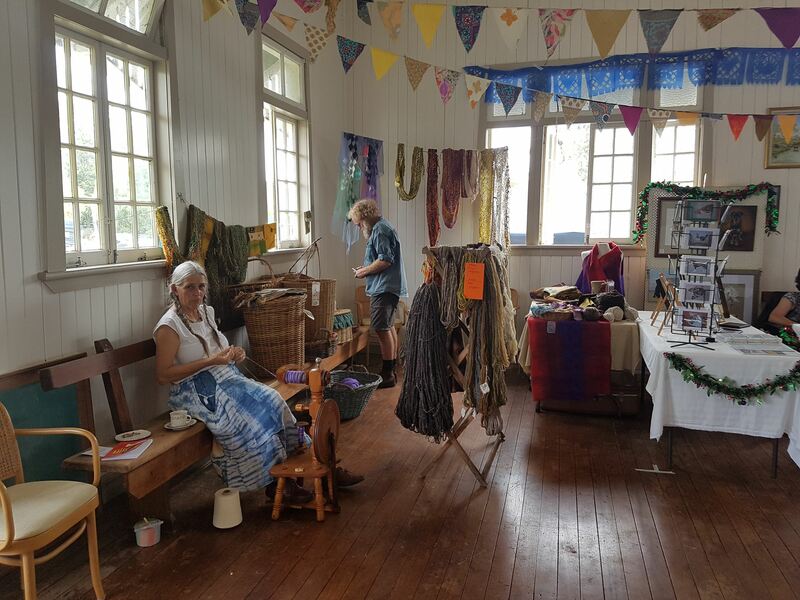 There were eco prints, canvas, clay and other creations from local artists, specially made soaps, wellness essential oils and more, photographs, spun fibres, crotched baskets from Moshki, adorable felt creations, upcycled clothes, crafted wooden spoons. 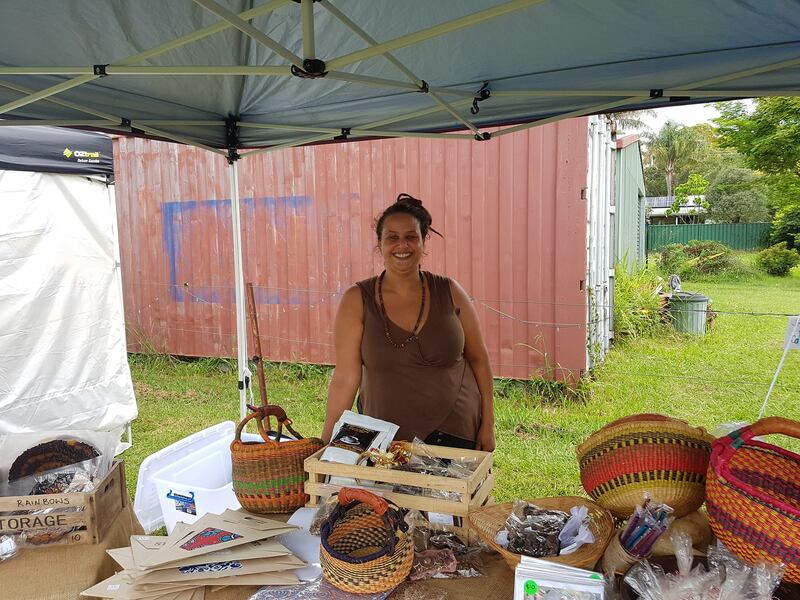 Boonah Organisation for Sustainable BOSS were there as well. It was wonderful meeting many locals and the atmosphere of the market was warm, busy! and friendly. 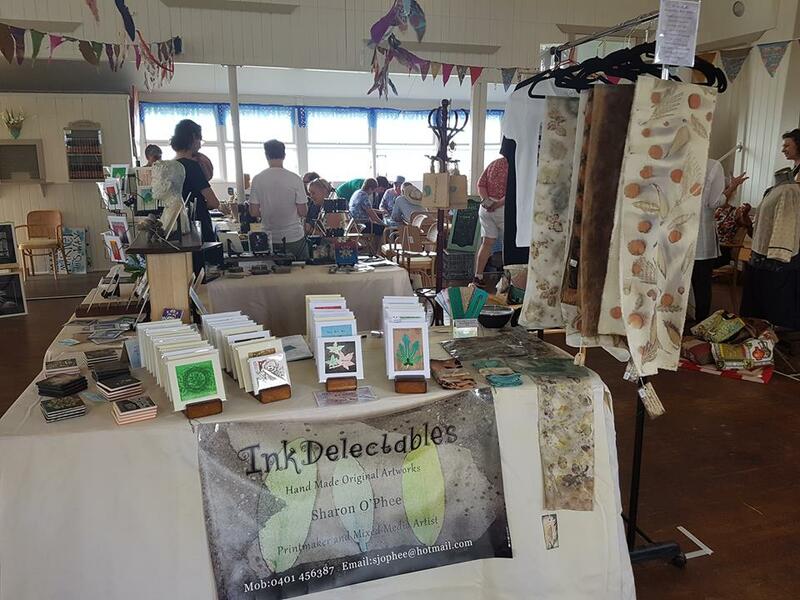 Many locals and stall holders had a chat, another stall holder actually bought my book and told people to head to my stall up another level in the hall! 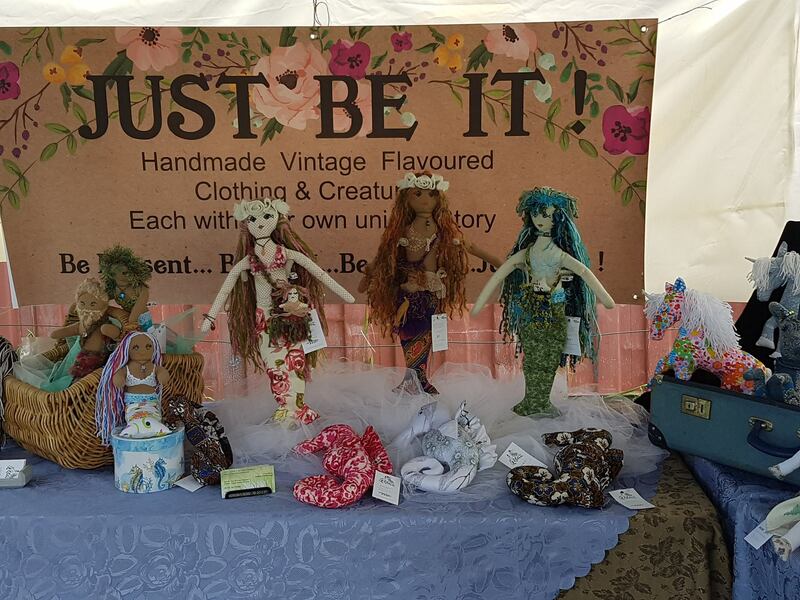 You can find out more about that artists over at the Market’s facebook page. Thank you so much to all the lovely Aunties, Grandparents, Parents, Teachers, Writers, and stall holders who bought the book! Thanks everyone at both venues who stopped for a chat. I highly recommend a trip to Mt Alford Artisan Markets as well as the Big B Books, a treasure house of books. What a magical weekend you’ve had, June. 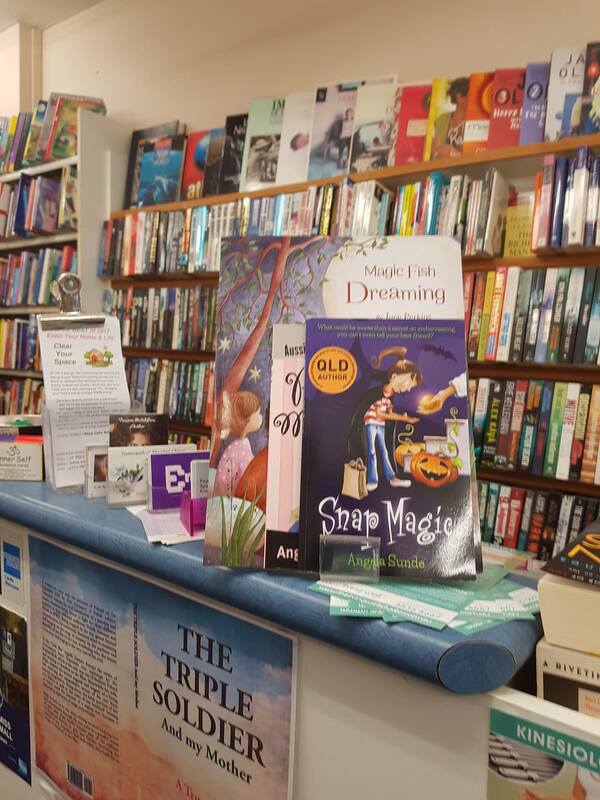 I loved Boonah when I visited this year in winter for their literature festival. It seems to be a treasure house of talent and creativity. Loved spending time with you at Big B Books on Sunday. 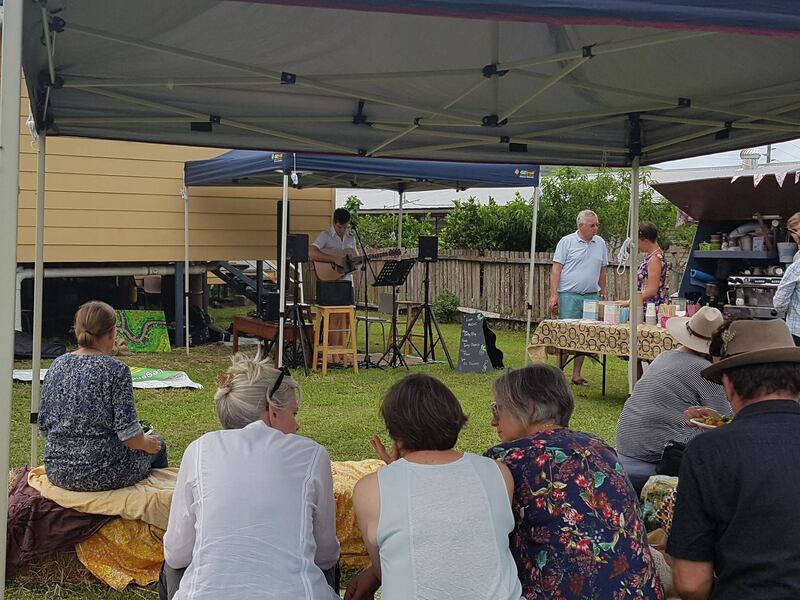 Yes Angela, Boonah does seem to a place full of talent, and warmth to artists. Was great getting to know you a bit better at Big B Books.